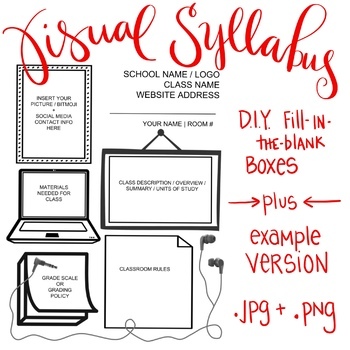 1 - pdf file with the template image, suggestions on how to fill in the template, and my actual visual syllabus example, developed from this template. You may use this .jpg image any way that you like, and with any software that you prefer for doing layout design! 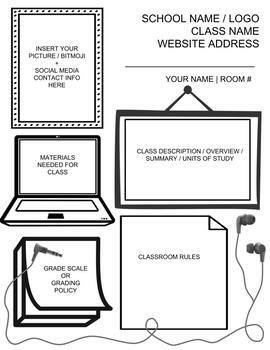 I've included the directions for Google Slides because it is what I use to lay out my designs, and it is FREE and easy to use!